It is an axiom of American life that advantage should be earned through ability and effort. Even as the country divides itself at every turn, the meritocratic ideal – that social and economic rewards should follow achievement rather than breeding – reigns supreme. Both Democrats and Republicans insistently repeat meritocratic notions. Meritocracy cuts to the heart of who we are. It sustains the American dream. But what if, both up and down the social ladder, meritocracy is a sham? Today, meritocracy has become exactly what it was conceived to resist: a mechanism for the concentration and dynastic transmission of wealth and privilege across generations. Upward mobility has become a fantasy, and the embattled middle classes are now more likely to sink into the working poor than to rise into the professional elite. At the same time, meritocracy now ensnares even those who manage to claw their way to the top, requiring rich adults to work with crushing intensity, exploiting their expensive educations in order to extract a return. All this is not the result of deviations or retreats from meritocracy but rather stems directly from meritocracy’s successes. This is the radical argument that Daniel Markovits prosecutes with rare force. 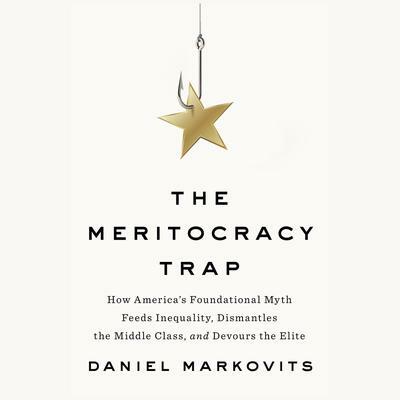 Markovits is well placed to expose the sham of meritocracy. Having spent his life at elite universities, he knows from the inside the corrosive system we are trapped within. Markovits also knows that, if we understand that meritocratic inequality produces near-universal harm, we can cure it. When The Meritocracy Trap reveals the inner workings of the meritocratic machine, it also illuminates the first steps outward, towards a new world that might once again afford dignity and prosperity to the American people.